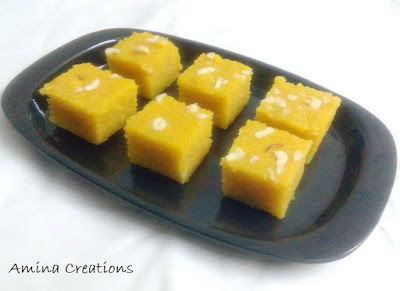 Semolina and milk barfi is a delicious and easy to make sweet that can be served during festivals or on special occasions. It looks great, tastes great and the best part is that it gets done in less than half an hour. So try out this delicious Semolina and milk barfi this festive season and enthrall your family and friends. Add semolina/ sooji and stir for a few minutes till you get a nice aroma and the semolina turns slightly golden. Now add milk and mix well. There must not be any lumps. Bring to a boil and add saffron and sugar and mix well. After a minute add yellow food colour and mix well. Bring it to a boil and then add the chopped cashews. Continue cooking in low to medium flame for about 10 minutes while stirring till the semolina mix comes together and leaves the sides of the pan. Now transfer this to a greased aluminium pan and gently press. Add cashews on top and allow it to cool down. Refrigerate for 2 to 3 hours, invert and cut the barfi into small pieces. Turnover the semolina and milk barfis and serve. Melt ghee in a pan. Add semolina/ sooji and stir for a few minutes till you get a nice aroma and the semolina turns slightly golden. Now add milk and mix well. There must not be any lumps. Bring to a boil and add saffron and sugar. Continue cooking for a minute and then add yellow food colour. Now transfer this to a greased aluminium pan and gently press. Add cashews on top and allow it to cool down. 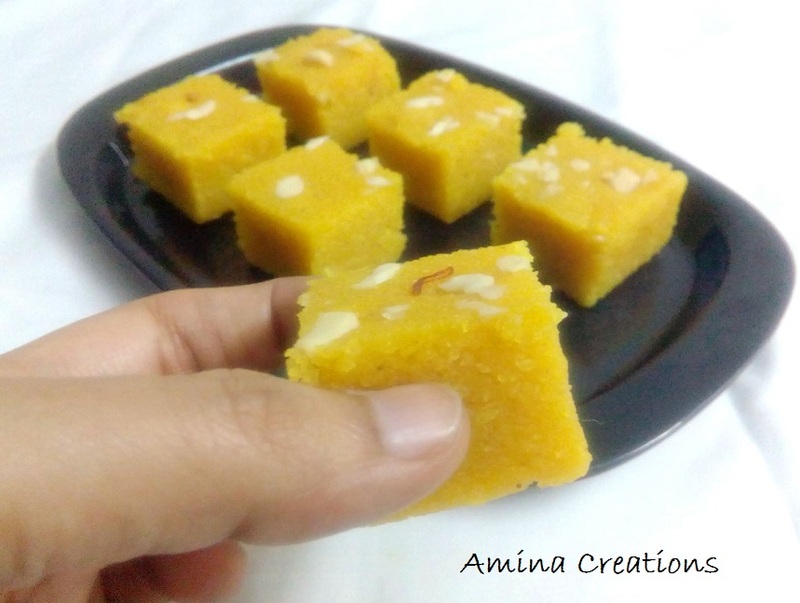 Refrigerate for 2 to 3 hours, invert and cut the barfi into small pieces. Turnover and serve. 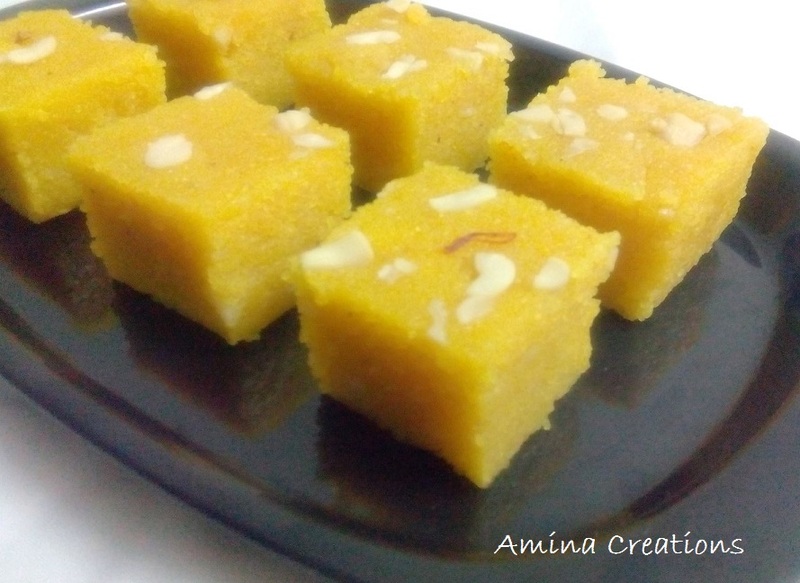 Delicious semolina and milk barfi is ready.